You may have read a certain ABC news report that a man made his final mortgage payment with pennies he had collected over the years. If not, the story goes like this. During the past 35 years, Milford, Massachusetts resident Thomas Daigle began saving pennies to pay off the mortgage on his first home. The first one was supposedly found on the ground of the parking lot as he left the bank where he obtained his mortgage. He told his wife at the time that he’d use pennies to make his final mortgage payment, and because “his word” meant everything, he stuck to it. As time went on, any penny he encountered would be collected and put with the rest, eventually rolled and packed into boxes in his basement. He kept a tally of the total number of pennies so he’d know when he met his goal. And in April, on his 35th wedding anniversary, he took the pennies down to Milford Federal Savings and Loan Association and made his final payment, just as he said he would. It is estimated that the 62,000 pennies weighed roughly 427 pounds, depending on the material they were made with. While this story is heartwarming and certainly admirable in a very unconventional type of way, it’s clearly nowhere close to practical. Sure, he was able to save $620 worth of pennies and make a “free” mortgage payment, but let’s analyze the amount of work he put into it. The man picked up pennies and sifted through his coins for pennies and rolled them for decades – that is certainly a lot of work for $620, especially when inflation adjusted. He probably also obsessed over pennies for years and drove his wife nuts. The poor employees at the savings and loan also had to count the 400 pounds of pennies once he brought them in, probably only agreeing to it because of the nature of the story and the fact that it’s their 125th anniversary this year. What Daigle could have done instead was make biweekly payments, or simply make an extra payment each year. Or pay a little extra each time he made a monthly mortgage payment. Even if he only added $10 or $20 to his mortgage payment each month, he would have saved a whole lot more than one single payment. He probably could have refinanced his mortgage as well as mortgage rates dropped over the years and shortened his term. And he would have paid his mortgage off early while saving thousands of dollars, not just $620. Oh, and he wouldn’t have had to touch a single penny or waste hours rolling them. Of course, he may have enjoyed the whole process, and clearly was happy to have met his goal. The takeaway here is that simple things like paying a little bit extra or refinancing when rates drop substantially can lead to huge savings on your mortgage over the long term. 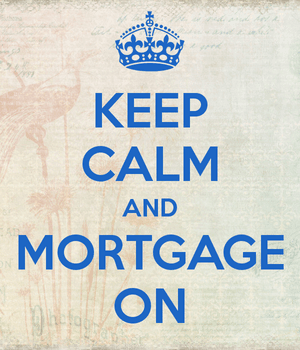 So take a proactive approach to your mortgage – it’s a huge financial decision and one that needs lots of care and attention over the years, not just at the outset. For the record, Daigle said he’s no longer saving pennies, and seems to want nothing to do with them at this point. He’s now focused on collecting grandchildren, who will likely pass down this story for generations. Hopefully none will repeat it.